A significant financial crisis can wipe out your emergency savings. If this has happened to you, rebuilding your savings must be a priority. All the best financial experts agree you need to keep an emergency fund. Keeping 3-5 months of living expenses in a savings account, certificate account, or investment account can be the difference between a temporary hardship and a life-long debt trap. Using that money instead of credit cards or short-term loans is a lot less expensive in the long run. There are many reasons why you might need to use that money. It could be from an unexpected expense, like a medical bill or a car repair. It could also be job loss that forces you to tap out your savings. Whatever the cause, it's a whole lot cheaper to pay for it out of savings than to have to borrow, and it's much less embarrassing than having to beg friends or family to cover your bills. In the midst of a stressful crisis, it can be hard to focus on the positive. It's important to take a moment to congratulate yourself for having the foresight to manage your problem. Things could be much worse than they are now. In addition to all the stress you're currently feeling, you could have a big ball of debt to add to it. It's not because of luck, it's because of good planning. Despite that relief, you're not out of the woods yet. Without savings, you're in a position of significant insecurity. Another crisis right now, even a very minor one, can cause financial problems that will create a ripple effect on into the future. You could find yourself in a much worse position in three months' time than you are now. 1.) 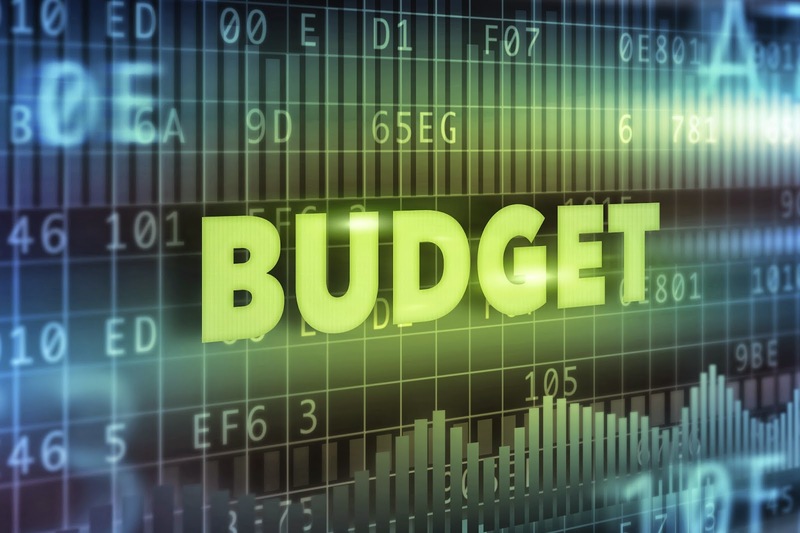 Make an emergency budget - and stick to it! Without an emergency fund, you're one blown tire, one missed shift or one broken arm away from a financial catastrophe. That's why an emergency fund is so important. Cut spending wherever you can. If you can do without cable for a few months, call and suspend service. Temporarily cutting back on media, clothes, and other discretionary spending is also a great idea. Also, consolidate your savings. If you've been saving for a vacation, a new car or some other big ticket item, stop putting money into those "buckets" until you rebuild a few months' living expenses. Once you return to having a decent cushion, you can get back to saving for your other priorities. Visit a Destinations Credit Union Member Service Representative to see if there are higher rate options for your saving or if refinancing a loan from elsewhere could cut your payment amounts. If these cuts aren't enough, finding money in more extreme places might be helpful. If you can, spend a few months taking public transportation. If it works out well, you might find yourself thinking about selling your vehicle for another quick infusion of cash. Remember, a budget is only as good as your commitment to it. If you make extreme cuts that you can't keep, you'll end up spending even more because you feel entitled to it. Make sure your budget is realistic and humane! There's no secret about building your savings. You can only save the difference between your income and your expenses. In your budget, you worked on the minimizing expenses part of that equation. Now, it's time to turn your attention to the income side. Raising your income at work could be as easy as asking for a raise. It could also mean taking additional hours or picking up extra shifts from co-workers. You don't have to do so for the rest of your career, just for a few months until things get better. You may also need to boost your income outside work. Selling old clothes and books can be a source of quick cash. Picking up freelance or contract work can also be a way to earn extra money. It'll create a stressful few months, but it'll be worth it to get back to security. You might also make connections that could help your career over the long term. The worst thing that could happen right now would be another crisis with no way to pay for it. You may not have the money to deal with it, but you've still got your financial smarts. It's time to make a plan. Think about what you'd do now if you lost your job, even without your emergency fund. Make a list of phone calls you can make to find temporary work. Who in your network do you know who could use your skills on a temporary or contract basis? Do you know anyone who, if you absolutely had to, you could call for a quick loan? There are a few other questions to ask. What stuff sitting around your house would you sell if you had to? What does your food budget look like with $50 taken out of it? It's easier to make these decisions when you've got the time and space to reflect on it. Making these choices with a past due notice in hand is much harder to do. Hopefully, you'll never have to use these ideas, but you'll feel better for having thought about them beforehand. It's also something pro-active you can do instead of worrying. Taking action, any action, to remedy your situation can help fight the stress involved in insecurity and get you in a better head space. That alone is worth the effort.